Militants overran the provincial government headquarters in Iraq’s northern city Mosul late on Monday, gaining further ground in the country’s second-largest city following days of fighting. Militants armed with machineguns and rocket-propelled grenade launchers stormed the building at night, overpowering guards after a brief firefight, according to Ali Mahmoud, an official for Iraq’s Nineveh province, of which Mosul is the capital. The governor of Nineveh province, Atheel Nujaifi, was in a nearby guesthouse at the time of the attack, but managed to escape unharmed. Iraqi police and army forces have since abandoned their posts in Mosul, a provincial official and residents said. Militants are reportedly in complete control of several parts of the city. The advance dealt a serious blow to efforts by the Iraqi government to control a widening insurgency in the county. The militants are believed to be affiliated with the Sunni Islamic State of Iraq and the Levant (ISIL), an al Qaeda offshoot that is also active across the border in neighbouring Syria. Earlier, the gunmen torched several of the city’s police stations, freeing detainees held in their lockups. 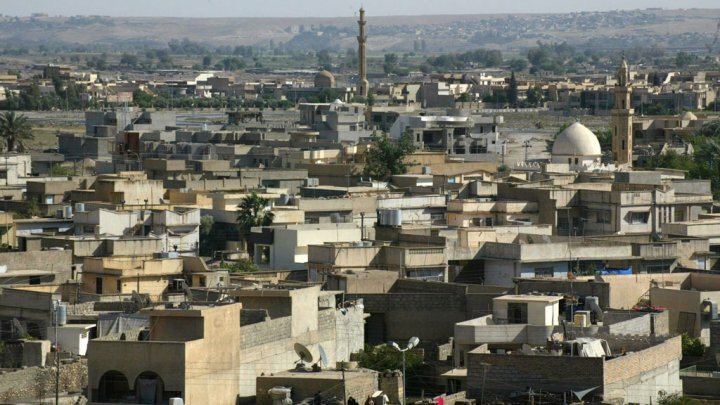 The fighting in Mosul has already forced more than 4,800 families from their homes to other parts of the province and beyond, Iraqi deputy Migration and Displacement minister said.